The official poster for Lumumba, the film about the late Congolese leader who died in 1961. The film won multiple international awards. 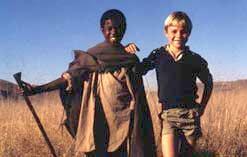 A promotional picture for the 1975 South African film e-Lollipop directed by Ashley Lazarus. 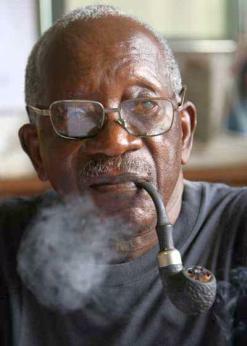 The late filmmaker and writer Ousmane Sembene, whose film La Noire de… is probably the first African film to win an international award. The legendary Congolese freedom fighter and independence leader Patrice Lumumba’s battles for freedom from the ties of Belgian colonial rule are the stuff movies are made of. Several feature films and documentaries have been made to tell this story – one of them is Lumumba, directed by Haitian-born, DRC-raised Raoul Peck, and released in 2000. 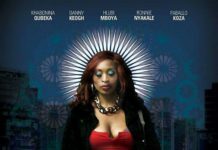 The movie is one of over 100 titles available in the African Film Library (AFL), a download service launched by broadcaster M-Net earlier this year. The launch of the service gives the continent’s film industry the chance to join the ever-increasing trend of internet services of the same kind, which have seen growth in the last few years around the world. 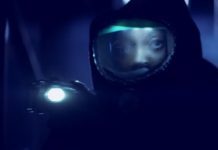 The significance of AFL is that it features films and documentaries by African filmmakers, starring African actors and telling uniquely African stories across a range of genres, from comedy to sci-fi. Lumumba was elected Congo’s prime minister in 1960, following his rise in prominence as a freedom fighter, but he was assassinated in 1961 following political instability in the country. The film stars Eriq Ebouaney, and documents Lumumba’s rise and rapid fall from power, just months after becoming Congo’s first post-independence leader. The country, now known as the Democratic Republic of Congo, has seen several name changes over the past few decades along with changes in leadership. The AFL website lists guidelines for users on how to use the service. A registered user can download any one of the items on offer through a license that is provided upon registration. Each film carries a unique license that is paid for by credit card, to give the user a pre-paid credit line that is loaded on to their account. The user can load as much credit as they wish, but the license expires after a certain period, and if that movie has not been watched, the credit used to buy its license is forfeited, therefore users are encouraged to make full use of the licence upon receipt. The standard cost for a film is US$5 (R42), and this pays for a 36-hour rental license. 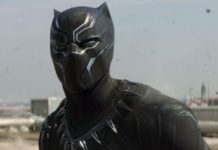 The user is billed in South African rands and after downloading can watch the movie as many times as they wish during the 36-hour period. If the user would like to watch the film again after the license period has expired, they’ll have to purchase the movie again. No further downloading is necessary as an additional 36-hour license will simply be issued. Due to the type of video technology the AFL uses in its system, users can only download films using Windows media player version 11 or versions higher than that. Older versions of the programme are incompatible. Another unique feature of the AFL’s service is a personal pre-paid online wallet to keep an account holder’s credit safe and secure. A user can top up their pre-paid wallet by entering their credit card details on the site, and their wallet will be topped up with credit when instructed. 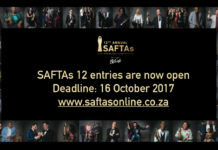 South African film lovers have reason to celebrate as well, as some well-loved titles such as Mapantsula and e-Lollipop, are also available. Boasting a 10-genre range across which users can browse and choose what they want to view, the site also offers content in various languages that are widely spoken across the continent. One of the main reasons for putting a service like this online, according to the administrators, was to reach as many of Africa’s diaspora as possible who would otherwise struggle to access films from their home countries. Besides the film database – which typically contains a thumbnail picture of the film, a short description of the film as well as a link to its trailer – there is also a separate catalogue that features short biographies of some of the leading filmmakers on the continent, their most famous work as well as quotes. Authorities on film such as Senegal’s Djibril Diop Mambety, the late Ousmane Sembene and Cameroonian Daniel Kamwa are just some of those featured as a way of honouring their contributions to the continent’s film and literature industries. South African film and stage legend John Kani also features. His 2002 theatre production Nothing by the Truth, about conflicts between black South Africans who fought the struggle from inside the country and those who had gone to exile, is also on offer. Film experts like to distinguish between the African film industries before and after colonial rule. History notes that during colonial rule, the industry was represented mainly by western filmmakers who largely portrayed the continent as an exotic land without history or culture. At some point, filmmakers in the French colonies were barred, by law, to make their own films. Although others may have got there first, Sembene’s La Noire de… (The Black Girl of…) , released in 1966, was the first African-made film to go on record as receiving international recognition, winning two awards, the Tanit d’Or at the Cartharge Film Festival and the Prix Jean Vigo. Three years later the Federation of African Filmmakers was formed, and this helped formalise the industry. According to AFL, the African film industry started in earnest in the 1920s. It attributes the honour of the first film made on the continent to Ain el Ghezel (The Girl of Carthage), which was produced in Tunisia by Chemama Chikly in 1924. One of the biggest challenges for the AFL team was getting the rights to host some of the films and documentaries because of different copyright laws in the respective countries. This process went on for close to three years before it was resolved and the final list of films could be made available. Digital remastering and further processing also proved to be a hurdle, as the films had to be made available in export-ready condition. Although this didn’t apply to all the films and documentaries, the team had to offer a wide range to meet the needs of as much of their target audience as possible. After three years of negotiations for the rights of the films, M-Net is on track to make the 600-film service available, with an initial 100 on offer. The films are presented in various languages broadly spoken across the continent: English, French, Arabic and Portuguese. 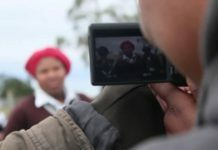 “The library forms an important archive of the continent’s cultural cinematic heritage, and also, for the first time, makes the African artists’ works easily accessible by a wide viewership around the globe – creating a new audience for existing and emerging filmmakers”, reads a statement on the AFL website.